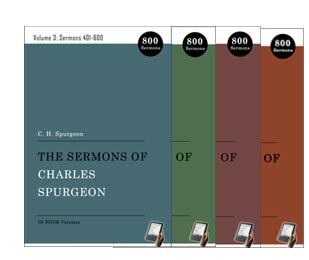 The 810 sermons in this four-volume set are a great treasure for the saints edification. These Christ-honoring sermons will lift you up and move you to grasp more deeply the riches we have in Christ. You may read them devotionally one day at a time, one a week, or use it as a handy reference. Regretfully you will likely not hear preaching like this from many modern pulpits. O, how we need to hear this kind of preaching again. The sermons are organized in topical alphabetical order. 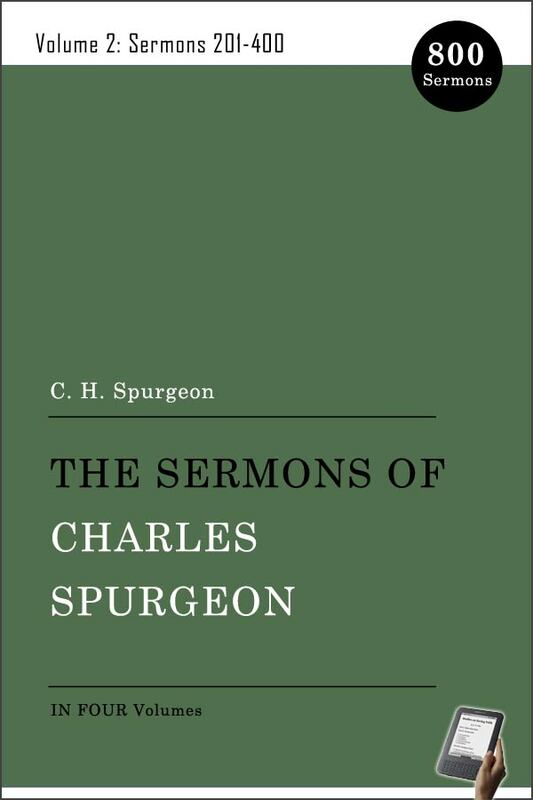 Although Spurgeon never attended theological school, by the age of twenty-one he was the most popular preacher in London. He preached to crowds of ten thousand at Exeter Hall and the Surrey Music Hall. Then when the Metropolitan Tabernacle was built, thousands gathered every Sunday for over forty years to hear his lively sermons. In addition to his regular pastoral duties, he founded Sunday schools, churches, an orphanage, and the Pastor's College. He edited a monthly church magazine and promoted literature distribution. Sincerely and straightforwardly he denounced error both in the Church of England and among his own Baptists. An ardent evangelical, he deplored the trend of the day toward biblical criticism. 18. Understandest Thou What Thou Readest? 26. Jesus—"All Blessing and All Blest"
54. "Bought with a Price"
84. Feeding Sheep or Amusing Goats? 165. Do You Know Him? 248. The Glory of Christ - Beheld! 252. God Hath Spoken - Rejoice! 312. His Name - Wonderful! 330. How Can I Obtain Faith? 357. Is God In The Camp? 358. Is The Spirit Of The Lord Straitened? 478. Never! Never! Never! Never! Never! 495. Not Now, But Hereafter! 504. Oh, How He Loves! 612. Return, Return, O Shulamite; Return, Return! 682. Speak For Yourself. A Challenge! 737. True Prayer True Power! 755. Understandest Thou What Thou Readest? 782. What And Whence Are These? 783. What Are The Clouds? 785. What Have I Done? 786. What Meanest Thou, O Sleeper? 787. Where Is The Lord? 793. Why Are Men Saved? 798. With The King For His Work!